goals – see shay run. i’ve been itching for a goal race for a little while now. yes, it has been fun getting recovered over the last 6+ months – running when i wanted, as far as i wanted, and as hard as i wanted (or really, could…i pushed that last one a bit at times). that said, with friends gearing back up into their racing seasons, i’m getting the itch. and, i’ve been feeling pretty darn good lately, so i think it’s time! a while back – maybe a month or so ago a few things happened. 1. i ran a trail half marathon (in newer shoes, no doubt) and thoroughly enjoyed it, despite being a little undertrained. 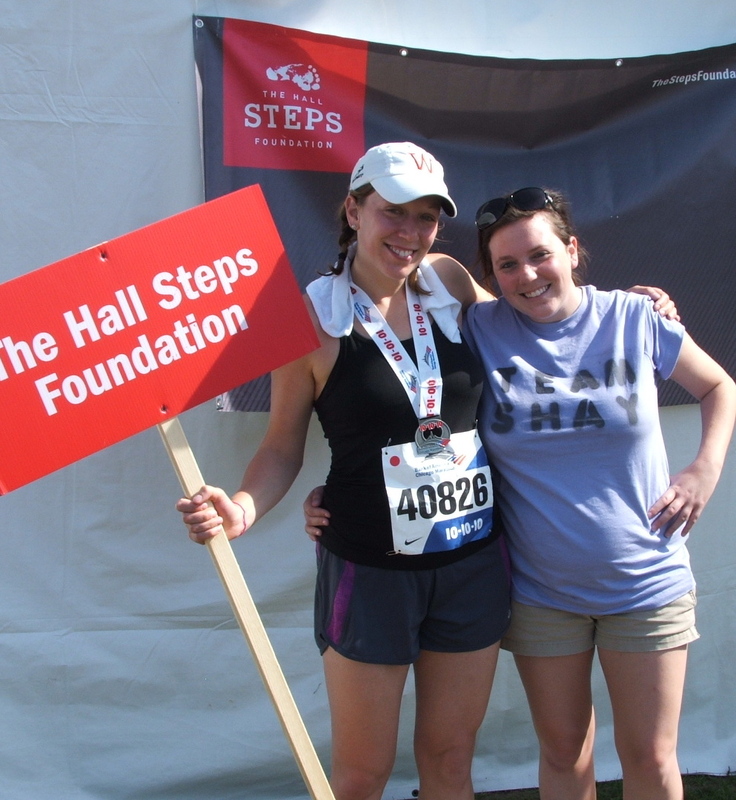 2. my littlest sister, Jordie – she mentioned that she wanted to start running. and 3. i saw that Mizuno was offering an(other) opportunity to run-test some of their new shoes. that combination lit a spark in me. first, as i mentioned earlier, the running itch is back. second, i want my sis to re-discover running. (i say re-discover because she was a high-school trackster, even though she hasn’t run in a while) and i thought new shoes – for both of us – might be the perfect storm! today i got an email from Mizuno that we were selected (i signed us up) to try out their new Wave Sayonara shoes. they’re slated as Mizuno’s improvement on the Wave Precisions (which are going away) – and the Precisions were my FIRST pair of Mizunos. i loved them. they helped me to find running again and soon thereafter, i snatched up a pair of Elixrs, too, so i had some options within the same family. Elixr’s on the left, Precisions on the right. i loved both of these pairs of shoes. as a sidenote, i lost the Precisions when my apartment building had a fire two summers ago. but i did slip on the Elixrs as i ran out of the burning building. they got me through summer running – the only thing that kept me sane at the time – and eventually, a pair of each later, i’ve run countless miles and distances ranging from 5k to 50 miles. 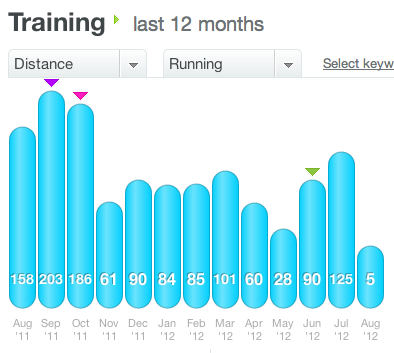 and recently, i decided that my end goal for this Fall is too run my fastest marathon. i’m not sure which race that will be yet – i have a few ideas – but i know the new Sayonaras will be a key to getting me to that line healthily and happily. and perhaps the most important part of this post is that i hope that looking ahead also includes a race (a 5k, maybe) with my little sister. Jords and me after the Chicago Marathon. 10-10-10, baby! and you better darned well believe that i’ll be there for her – no matter how many miles she decides to conquer. i’m looking ahead and it looks good!!! stop MS. donate today. one final push. hi lovely blog readers! thanks for visiting today. i haven’t been the best blogger, but i’m trying. i wanted to write a post today to share with you a cause that i’m running to raise awareness and funds for – MS Run the US. you can read all about the organization on their site, but i want to tell you why i joined the MS Run Athletes team and why i wanted to raise money for them to begin with. i set out on this fundraising journey last fall for a few reasons – first, i knew i wanted to give backsomehow and being a part of a running team was an easy way to do it. second, i knew that my efforts in raising money for this specific charity would help a number of people (and their families) that i know and love who deal with MS on a day-to-day basis. and third, it feels really good to be a part of something bigger than me. and since it’s april 10th, and my deadline to meet my goal is april 21st, i am doing one final push for my fundraising efforts for MS Run the US. and because of that, i’m asking for your help. DONATE HERE. as of today, i have $1,210 raised of the $3,000 that i’ve committed to. would you consider helping me – and ultimately, many people with MS fight for a cure? chances are, that even if you don’t know me personally, you do know someone who is impacted my MS.
all i ask is that you contribute what you can – even $5 helps! in a few days, an even bigger team of MS Relay Athletes will begin their run across the US to raise even more awareness and funds for MS research. i encourage you to follow along here. i’ll tell you something – the MS Relay athletes are really something else! (in a GREAT way). they are family members of people with MS, friends of people with MS, and even folks who have MS themselves. if that’s not inspirational, i don’t know what is! and on Saturday, i’ll be running a 5k, representing MS Run the US here in Madison. you can join me, if you’d like! thanks for visiting. thanks for your support. spring, i know its here somewhere. i lost a little of the joy of running late last year. i let my ego get in the way. and also, winter. i ventured to Washington D.C. last week for work and experienced some 50+ degree weather and clear sidewalks and i know that spring, for those of us here in Wisco, it can’t be too far off! when i returned to Madison last week, it was chillier than i had hoped, but still, i got out for some really good runs over the weekend. i ran on trails and sometimes on ice and through the snow, but it was fun. the added good was that the pain that was plaguing me late last year has subsided. i think that i am ready – both mentally and physically, to rejoin the running community. 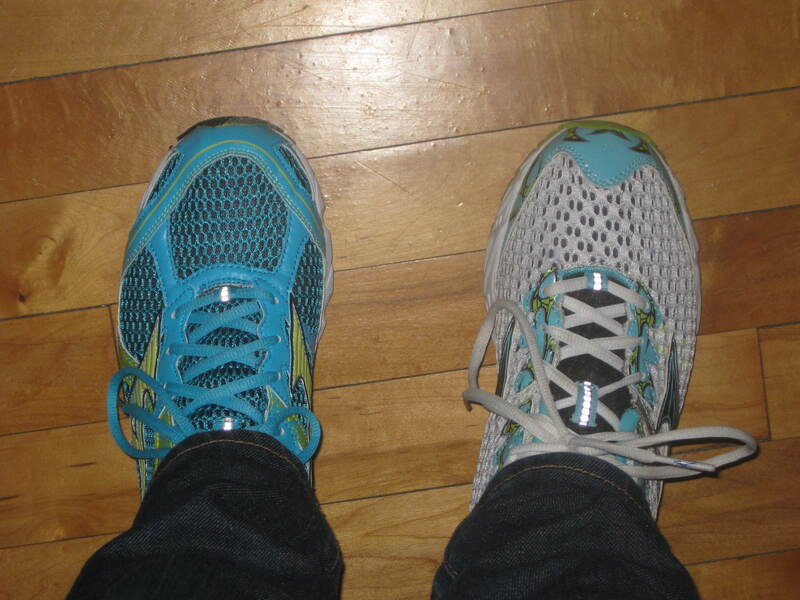 now, i just need to stalk and purchase a new pair of (non-minimalist) shoes. i’m not one for new years resolutions. i just think it is a little silly – and that’s just me. i’m more of a type of person that thinks that we can begin anything anytime, regardless of the time of year. that’s not to say that i don’t like milestones. i do. i celebrate them. so, when 2013 rolled around, i figured i would just focus on the good things in my life over the past year and continue to build on and to be thankful for that. nonetheless, somewhere along the line (january 2nd, maybe), i decided that instead of making a bunch of unrealistic resolutions i would take a month to focus on one thing that would, in general, make me happier – make life better. i ended up saying something like, “my goal for january is to get up when my alarm goes off.” something to that note. it was less about getting and much more about getting enough sleep. getting up when my alarm went off (when it goes off) means that i’m going to bed at the right time. it means that i am getting to work earlier. which ultimately means leaving when it’s still light out. all of these things are a direct result of getting up when my alarm goes off. i wasn’t a dummy when i set that goal. i set it purposefully. i knew it would add value to my days. and somewhere along the line i remarked that i thought i would set a goal for each month of this year – building on the last – always adding value. but now it’s february 12th and i have just realized that i haven’t set a goal for february. and really, i’m not happy with that. i am a bit disappointed that i forgot. that i got caught up and didn’t remember what i thought (at the time) was a pretty brilliant idea. i guess i’m a bit disappointed because i wasn’t mindful. and as i type that out, i realize that perhaps my goal should be to be more mindful. for the rest of february – for the next 16 days (15, i suppose), i am going to be more mindful. this goes full circle. this post and my goals. i may have realized and have gone through the emotions of being disappointed of losing sight of my goals, but i didn’t dwell in it. i returned to my original goal. i added another. and now, i’m back on track. there is value in feeling disappointed or realizing you’re not achieving – in life and in athletics. i’ve learned that over the years. it’s much more about being able to recognize those [potential] weaknesses – and acknowledging them and moving forward than about ignoring them and letting them drag you (ME!) down. always examine your goals. return to them. don’t be afraid to tweak them. i suppose that’s just one of the reasons i’m opposed to “new years resolutions” – it’s because so often they’re made once a year and once you lose sight – even just for a second – you feel like a failure. i’m here- for one, to tell you that that isn’t the case. examine your goals. be tough. and keep going. i’ve got a few races on the horizon and while fall is usually the time of year when racing starts gearing down, i feel like i’m just getting started. i am just getting started in a new chapter of my training and in my active lifestyle. running will always be an enormous part of what i do, but this winter i’m looking forward to expanding my horizons a little bit. i am kicking off my new adventures with the North Face Endurance Challenge – GOREtex 50 miler on september 15th. (yes, that’s 8 days from now). after that, i’m planning on doing the Tyranena Beer Run – a fun half marathon in Lake Mills, WI in the beginning of November. i’m also going to take up swimming this fall/winter. in february i’ll be racing in my my first Birkie (the American Birkebiener) and then in april, since i deferred my 2012 entry to 2013, i’m planning on running the Ice Age 50. whew. anyway, with all of the racing and training i’m doing in the future and because of all that running has given me in the past, i decided it was time to give back. i had been looking for things that were close to my heart – issues or organizations that would fit my passions that i could devote some of my time and resources to. i’m young and i can’t always offer lots of money, but what i do have are legs and lungs and a body that works. what i do have is a load of family and friends and a great network of GENEROUS and CARING people in my life. so when i saw a tweet from Ashley over at MS Run the US that she was looking for athletes to help her out with something, i responded to her call. you see, i’ve been following Ash for a few years as she ran across the US to raise awareness and money for Multiple Sclerosis. i was in awe! she’s an inspiration. it didn’t take long to know that i wanted to get involved in this cause. MS is a disease which ultimately causes people to lose some of their mobility and strength and control. often, it isn’t life-threatening, but it is enormously life-changing. personally, i know more than a handful of people who have been impacted by the disease in one way or another. i know people who have MS themselves and i know people who have family members who have it. because the MS impacts so many people i know and care about, it is personal to me. but also, i’m an athlete and anyone who knows me knows that being fit and active and healthy are a huge part of who i am. being a part of the rowing team in college was the primary reason i stuck college out when it got tough. after college, running has gotten me through so much. running helped me cope with the transition to adulthood, it helped me to recover quickly from a fairly invasive surgery, and it helped me to cope with a fire that cost me my home. i might not always have much to offer in the way of money, but i thought that with all that running has given me – because my body still almost always can do what i ask of it, i knew i had to be a part of this team. and what i can do right now is to be a steward of this cause. my goal is to do my part to spread awareness about MS and to help raise some money for the cause. like i said before, i know i don’t always have the monetary resources to make an enormous impact, but i do believe that every little bit helps. i believe that our connections with others are what makes us strong. i believe that a lot of little bits make a greater impact than what we can do on our own. stop by my FirstGiving page and donate $5 or even $10 to the cause. i want to thank you all in advance. for reading my blog. for being supportive to me. for helping me to give back. this is my tenth post in this new space and i’m going to celebrate it. not really because TEN is a huge milestone, but because i find it helpful to celebrate the steps. right now i’m gearing up to move to a new home and doing some big things at work and so some of the time both running and writing about it has fallen a little to the wayside. at least in terms of quantity. i’m hoping the quality is up to par, though. next week, a week from today, i’ll be heading North…way North (to another state) with my friend Angie to run (survive?) a 50k adventure. i’m excited that we’ll get to run along one of the most scenic shorelines in the USA, i’m excited to get some quality running time in with one of my favorite running buddies and i’m excited to spend some major time on my feet because my goal race is quickly approaching. next weekend we’ll be running the Marquette Trail 50 along the shores of Lake Superior in Marquette, Michigan. checkout the website. no, really! in particular, i feel like anyone interested in this race should see the pictures. ok, so i’m really looking forward to just simply staying mostly upright and enjoying the day and well, staying alive! and after that…and i’m sure i’ll have a great report to share with you all afterwards, i’m going to recover and then hit it hard for a few more weeks until the big show: The North Face Endurance Challenge. in my opinion, the great thing about the Endurance Challenge is that there is a distance for everyone. and on top of that, if you’ve never run a trail race before, i would highly encourage you to give it a shot. so, that’s my tenth post here. a little bit more about what’s been going on here and what’s to come and a push for you to checkout the Endurance Challenge. you can click through to the website, too, on my right sidebar —–>> (yes, over there) to the registration page to checkout prices and race distances. did i say a month ago that one of my goals was to run everyday? i ran 20 of 31 days. not too shabby. but i can do better! another thing i know is that i set out to run at least 100 miles and i did it. 125 miles in july. finally – back on track! i’m a little behind where i was a year ago – in terms of monthly mileage, but i’m also a way different athlete, so that doesn’t make me too anxious. i guess it is time to set some goals for august, huh? i’d be lying to you if i didn’t mention that i’ve been pretty inspired by the olympics. as i watched my friend Kristin row in her repechage a few days ago, after waking myself up at 3:15 and then 4:15 am to see her live, i got teary-eyed. i’m feel pretty lucky to know someone as awesome as Kristin and i’m also inspired to keep charging forward as best i can toward my own goals. some days i wonder if i should or could start rowing again? that might just be the olympic-high talking though. but all that said, i’m fired up. from my own focus on running to frisbee to committing to getting up to cheer on my friend from afar – hoping she can feel the Wisco love from across the big pond…i’m so ready to go.